Let's get windsurfing in Paradise island Fuerteventura!! The perfect moment to catch some sun during the cold European winter. 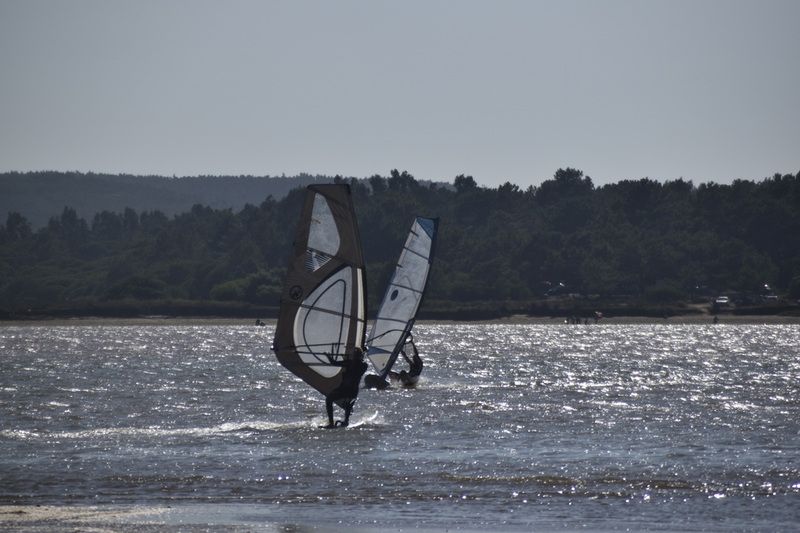 Windsurfing - Yoga - Accommodation and more! drive off-road past the raw nature of the north coast, which offers many amazing surf-breaks. Diving and snorkeling are definitely worth trying or just chill on the beach. Check the extra's for more water-sports, action and service like an airport transfer. ​in the surf minded local guesthouse in Corralejo* a 6p shared room. ​in our WSY-House Lajares* a twin room. The flights, travel insurance and cancellation. * standard = shared room 4/6 pers., twin or private-room is possible if space allows. Book with more than 2 participants at ones and you get a group discount. ​Curaçao has a perfect lagoon and the blue Caribbean Sea with comfy temperatures.. It is just Perfect! A stable wind, space and good vibes, oh, and don't forget about the coconuts. What took us so long to get here ?! ​optional; airport transfers, SUP(yoga), private yoga, diving, massage. not included; flight, cancellation, insurance, meals. Pick your duration and let us know when you like to join! lots of optional water-sports to explore. Portugal has so many beautiful treasures to see. Waterfalls, stunning cliffs, cute villages, endless fields, sunsets. Staying in Foz Do Arelho connects you to the real local life in Portugal. or to see Nazaré (XXL wave spot), which is really nearby. Portugal is cultural, beautiful and lovely. Windsurfing in Bulgaria, ride the black sea. During Summer breaks (every second year) we like to go EAST! Bulgaria has a beautiful coast on the black sea, with water temperatures of 23-28C degrees it is a warm bath to take a dip. Summers are not for the advanced but offer great conditions to learn and improve your skills as a beginner -intermediate windsurf. Varna is the third biggest city in Bulgaria, it offers, besides the beaches, lots of culture and history. The cyrillic alphabet makes you feel far away fom home starting the moment you arrive, this is a holiday! One or Two weeks of Yoga and windsurfing, good food and adventure. More Information on the camp just ask us! In Caños de Meca we offer camps on specific months a year. Windsurfing on the Costa de la Luz happens mostly on the ocean around Caños the meca, Sancti Petri and Tarifa. The wind, the sun and the waves are all here! All we need for a lovely windsurf yoga holiday.. Days off are well spend travelling passed pueblo's blancos and visiting the beautifull beaches, cliffs and nature in the area! El Palmar and Caños offer perfect beginner and improver waves all year round. Check our Surf Yoga holiday for a trip to the South West - Cadizfornian coast of Spain. Windsurf Packages are with flexible arrival dates and duration. 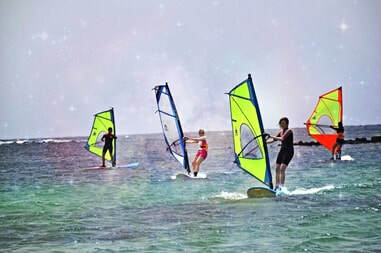 Budget package offers max.4 classes in the week, the Full on program offers daily windsurf classes. Make your own package! ​and let us know what you want!